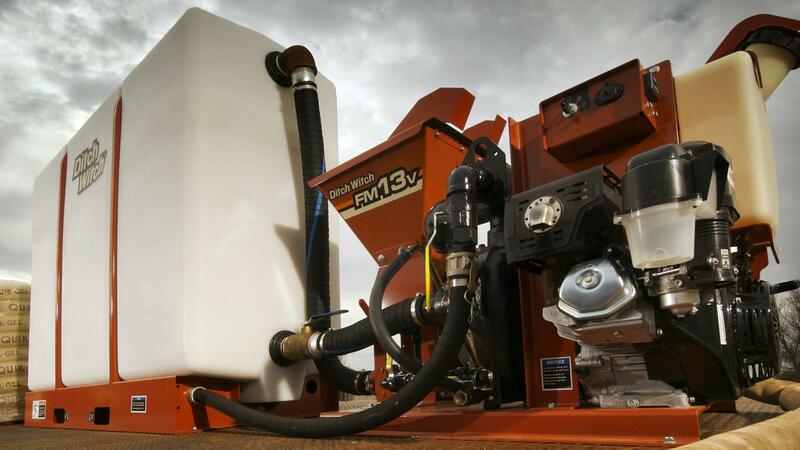 The FM13V fluid mixing system is designed to work a long time before requiring any of your attention. Its pump lubricates itself during mixing and works so efficiently that it delivers 20 percent more fluid capacity than other models. To make your life easier, it even has a built-in bag-ripper. Flowmax centrifugal pump flows 200 gpm (757 l/min) of 42-viscosity drilling fluid. 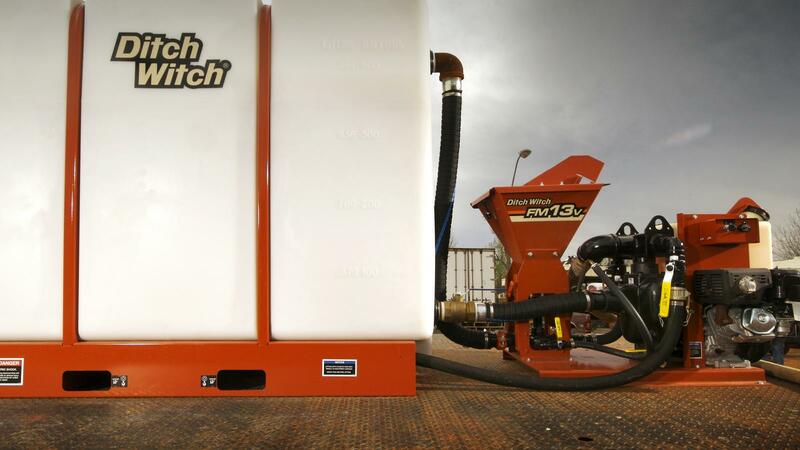 One-piece mixing jet yields 8 bags/1,000 gallon (3785 L) in fewer than 8 minutes. Choice of 500- or 1,000-gallon (1892- or 3785-L) tanks, depending on the size of the job. Built-in bag ripper and steeper hopper sides help accelerate mixing cycles. System is designed to increase productivity through greater drilling fluid flow and faster yield times. The tank's sloping bottom ensures that all drilling fluid flows through the pump and is thoroughly mixed. 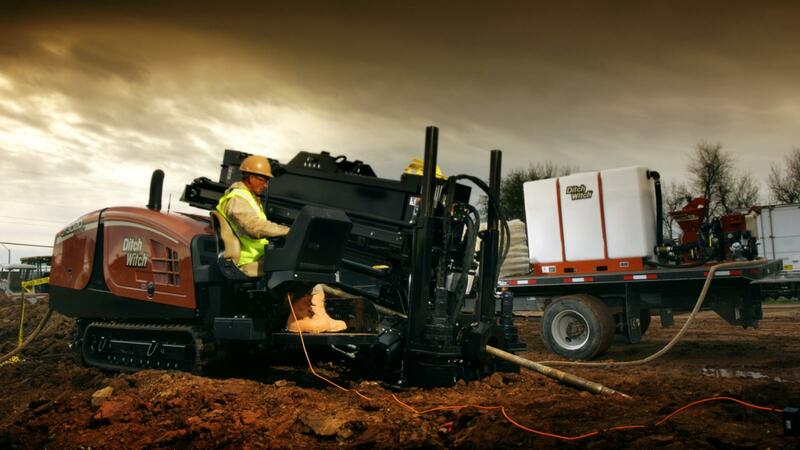 Supports horizontal directional drilling systems of all sizes. Self-lubricating seal minimizes pump maintenance.